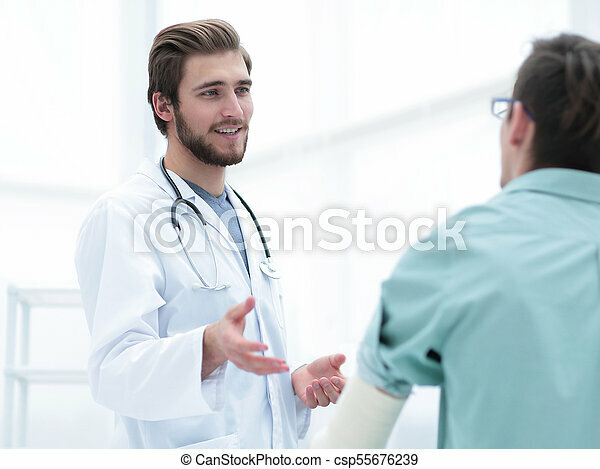 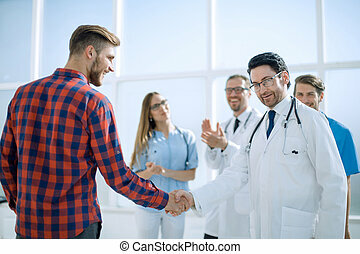 Doctor talking with a patient in a medical office. 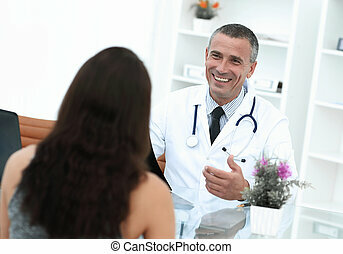 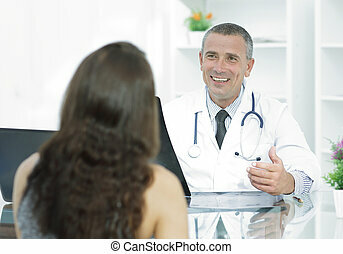 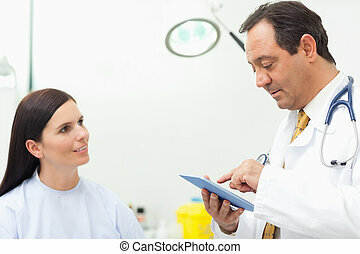 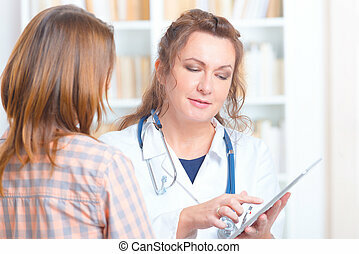 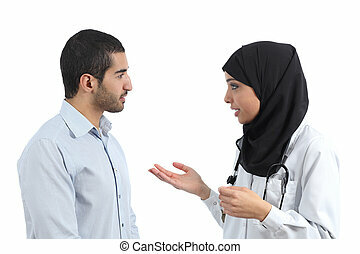 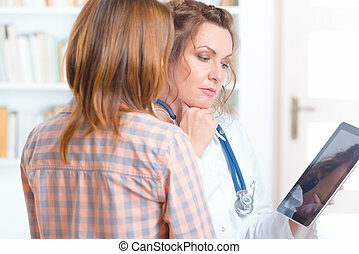 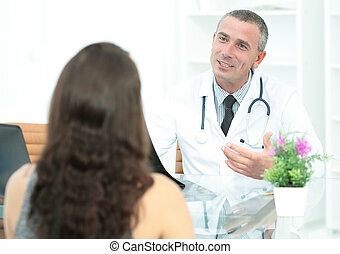 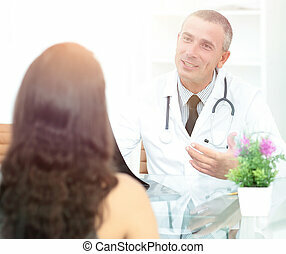 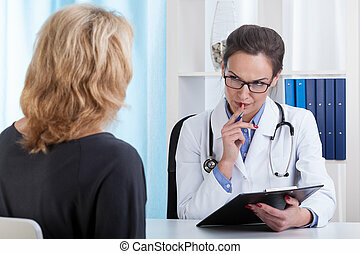 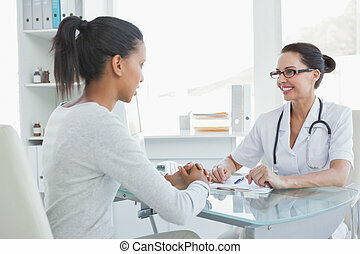 A doctor talking with a female patient. 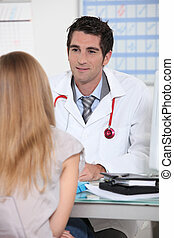 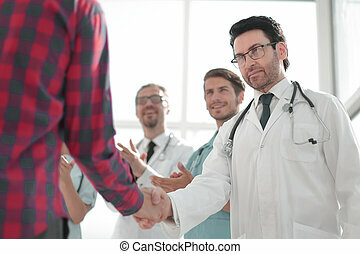 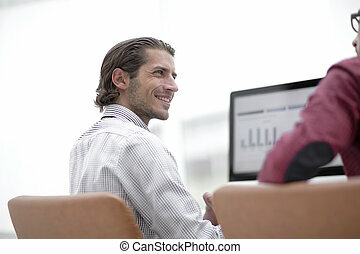 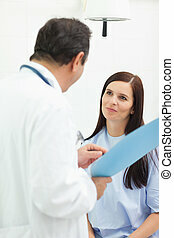 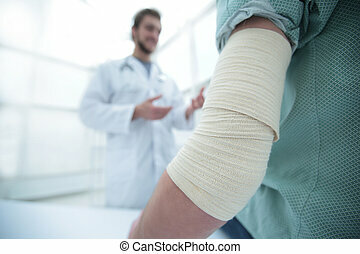 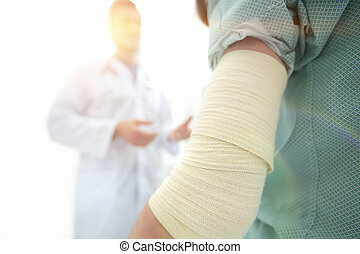 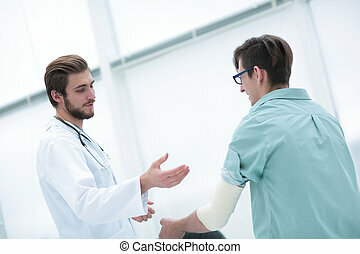 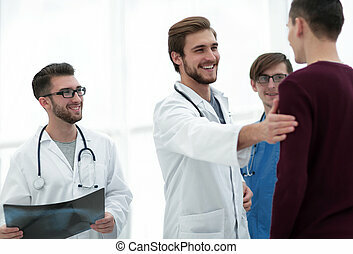 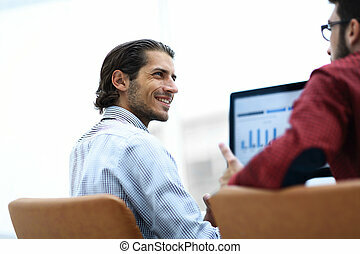 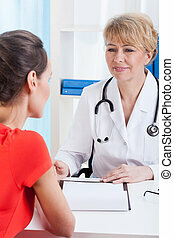 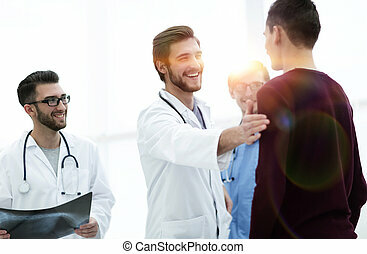 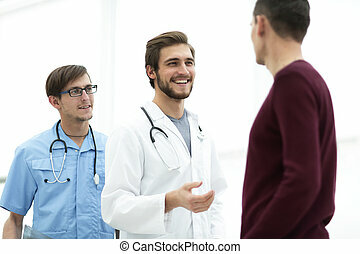 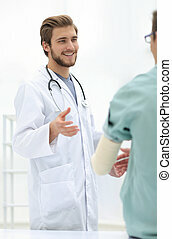 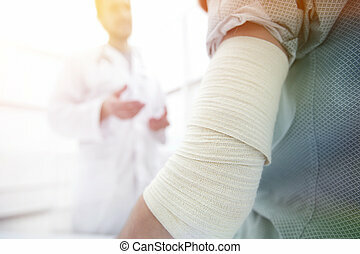 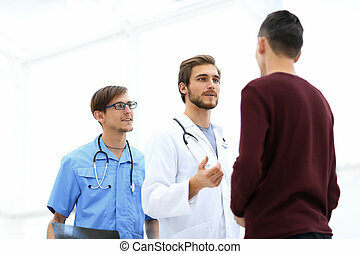 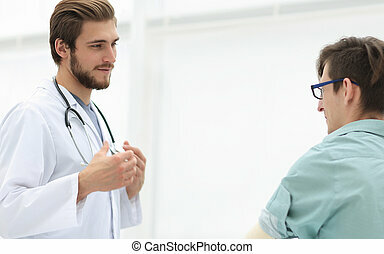 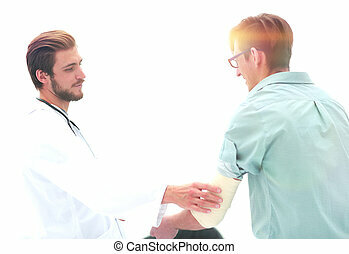 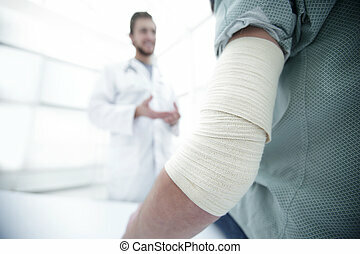 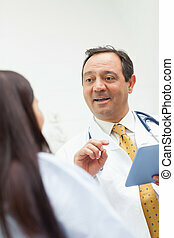 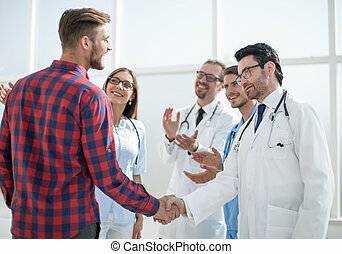 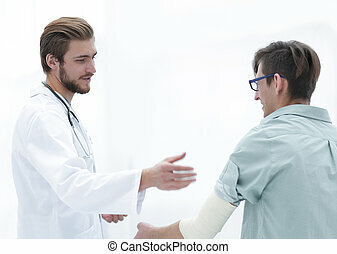 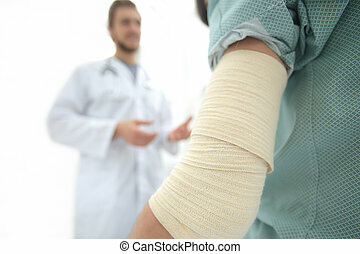 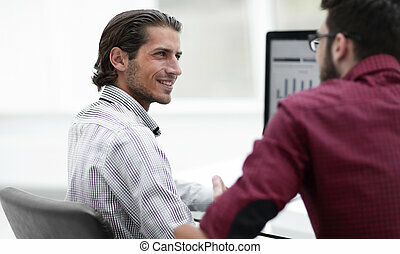 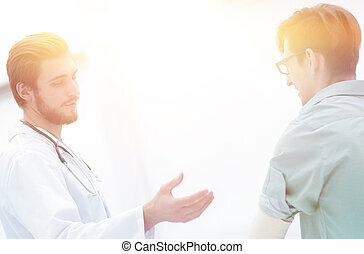 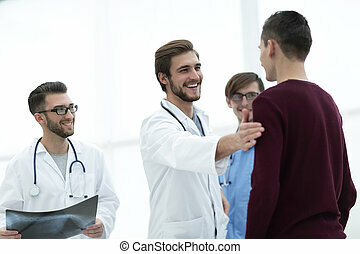 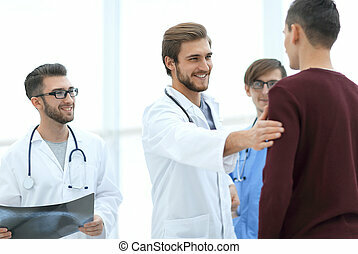 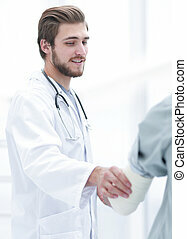 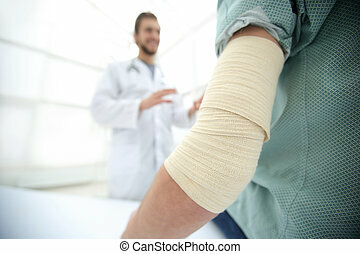 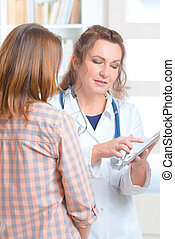 background image.orthopedist talking with the patient.